Come learn about new tools that will WOW your audience! Along with spring comes class presentations and projects. 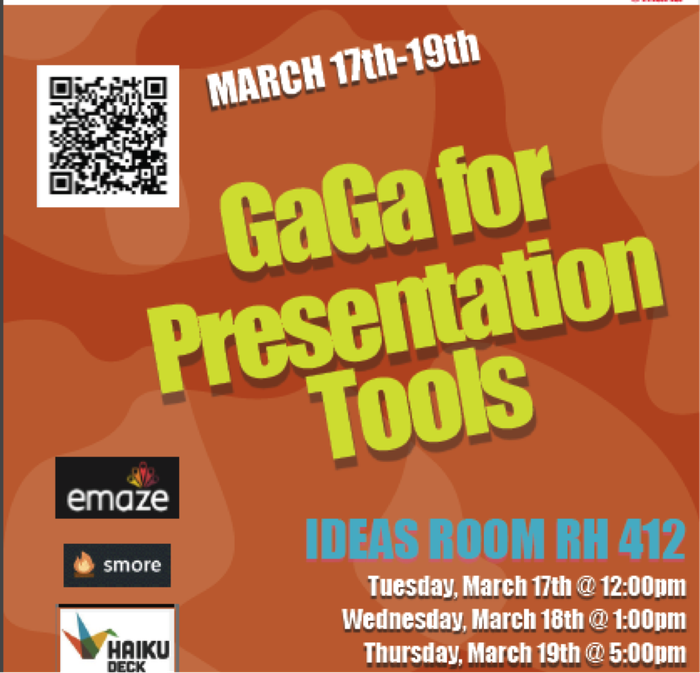 Add more tools to your presentation repertoire by attending the Gaga for Presentation tools sessions in the IDEAS Room NEXT WEEK!! Smore, Haiku Deck, and eMaze. emaze is like Prezi's cousin. It has a similar look and feel, but more manageable and less overwhelming. Colorful templates make this user-friendly site one that presentation creators of all ages can appreciate and enjoy! 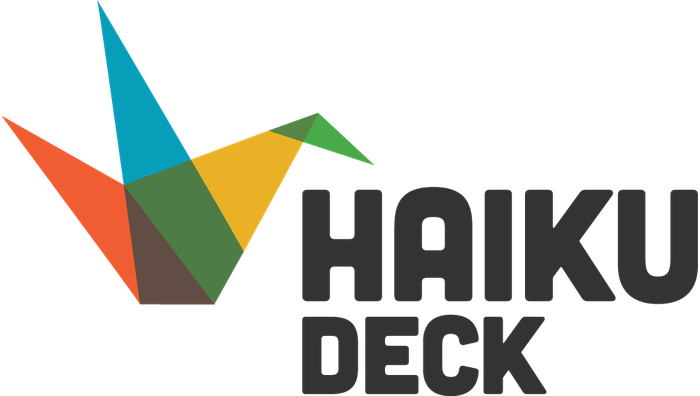 Haiku Deck started as a mobile app and is now offered as an online tool. This site's large photo library sets it apart from others. 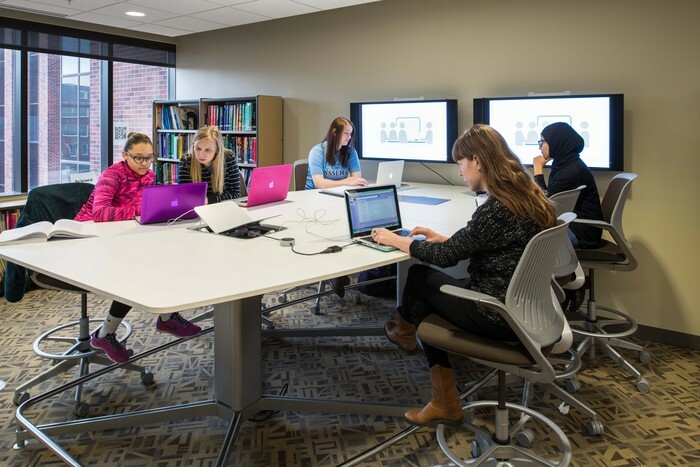 The vibrant visuals will set your presentations apart from all others. This promotional flyer is an example of what SMORE can do for you. SMORE is an online flyer that can be used to educate, promote, and excite audiences. Images, links, videos, audio, and much more can be added to a Smore flyer.